What a fantastic weekend of racing it was! 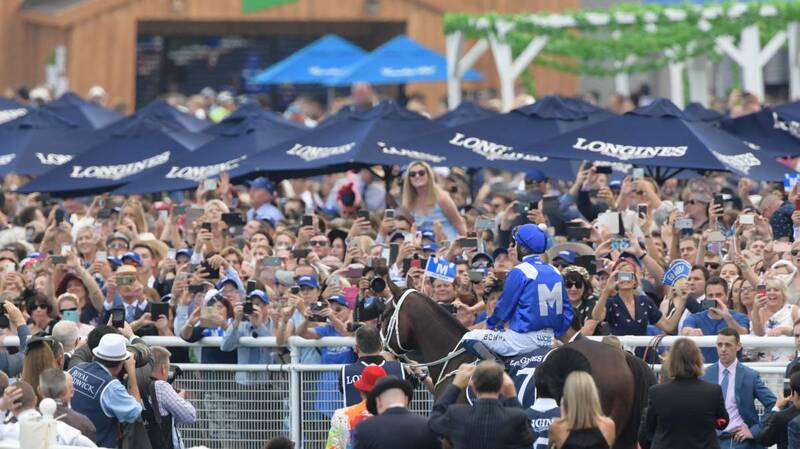 How exciting it was to see so many people at Royal Randwick in Australia to watch the wonder mare Winx run and win her very last race. What a wonderful advertisement she has been for the thoroughbred racing industry – well done to all her connections for a magnificent effort, and we wish her team the best of luck as she now becomes a broodmare. 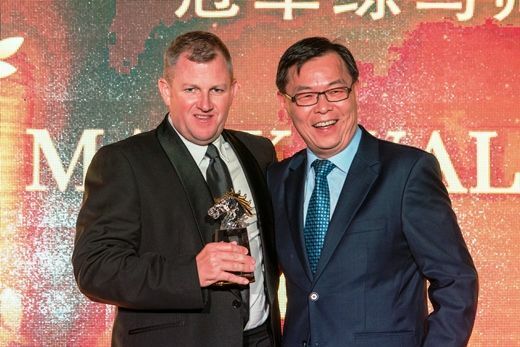 The highlight of my weekend was seeing our Singapore trainer Mark Walker win four races. Mark is on fire! I especially enjoyed seeing his two year old Admiral Winston not only win at his first start but beat the older horses very convincingly. Mark and I purchased this horse, who is by Declaration of War, for $30,000 after he was passed in at the Magic Millions’ sale. The previous weekend saw Mark win five races, which means he has won nine races in the last seven days – that’s nine races over just four race meetings!! This also sees Mark clearly ahead on the Singapore Trainers’ Premiership. Well done to Mark, Gus, Karen and the all the team on a simply amazing week. Our filly Avantage, who is the only New Zealand trained horse to have won at the Sydney Carnival (the Group 3 Birthday Card Stakes), ran a really top race in the $1 Million Group 2 Arrowfield Stakes on Saturday, earning $A98,000 for third place. We are currently putting a lot of thought into where we go from here with this classy girl, but Avantage is definitely now looking for 1400m, even 1600m. Yesterday I attended the Te Rapa Races and, for the first time, the meeting was on a Sunday. Firstly, a massive congratulations to the Waikato Racing Club for doing such an excellent job at making sure the track was in great condition after a major setback last year. Every jockey I spoke to was full of praise. Well done team. Why would New Zealand Thoroughbred Racing (NZTR) not programme a meeting on a Saturday in either Hamilton or Auckland? It just defies logic! What is wrong with having a three meeting Saturday!? NZTR will more than likely state that there aren’t enough jockeys to go around. Well, if they keep going with their current apprentice jockey scheme, we will shortly have only ONE meeting Saturdays, as there will be such a shortage of jockeys. The problem with the NZTR Board is that no one ever sees many of them at the races. Surely it should be mandatory for Board Members to go to a minimum of 25 to 30 race meetings a year? When I was on the NZTR Board, I never missed racing on a Saturday and I attended most Wednesday meetings in my District – and we, the Board members, did this all without pay. Why did I got to all these race meetings? I personally did this because I wanted to stay in touch with the club committees and the club managers, and to see what their problems were so that we could be well informed for our next board meeting. NZTR is not working in its present form. There is some talent on the Board however this Board needs a good refresh in other areas. As far as I am concerned, the rest should resign immediately so we can turn this once great industry around before it is too late. While I am expecting some good news from the Government over the next 14 days, we still require a Board at NZTR that truly understands racing, understands how to communicate with the stakeholders, and that innately understands the problems we face. For example, last week there were eight two-year olds on the ballot in a maiden two-year-old race, and yet NZTR didn’t split it. I know it was a bonus race if a filly won, and that they wouldn’t have wanted to pay out two bonuses, but they could have had an eight-horse race for the colts, and an 11 horse race for fillies – now what would be wrong with that!? There is not another maiden two-year-old race in the north this month. know I have stated this before, but do you honestly think this would happen if the NZTR Board and CEO were paying training fees? It is heart-breaking watching how badly we are being administered at present. Another example of this poor administration is the all-weather track situation. The Government has ear-marked the money, but we haven’t even had the feasibility study completed to see where it is going – Te Aroha, Matamata, Taupo, Ellerslie? I am not pushing for any particular venue but let’s work together to get it right for our next generation. We also need to support the Cambridge Training Track, which is desperate for work to handle its high volume of horses. Yet another summer has ticked by and still no action. As Cambridge is such an important training venue, we need to get that Club the money to remedy its problems ASAP. Please note, this is a completely different issue to the all-weather race track. Come on NZTR, let’s start making some decisions before it is too late. The Government has the money, it just wants the all-weather race track to be in the correct location. Also, isn’t it tragic that the NZ Racing Board has once again this season put an early stop to ‘Weigh In’. How do you get the best panellists when you only give them seven months’ work in one year? No coverage of the black type races on the weekend, no review of the Sydney Carnival which saw Winx farewelled but also saw horses such as our filly Avantage, Sir Charles Road, Danzdanzdance and others competing! Soon we will hear the governing bodies bemoaning the number of jumpers we have in New Zealand. Well, what does NZTR and the NZRB do to promote winter racing? ‘Weigh In’ could have played a major part in this. As you never see Board members of either organisation at track work at 4.15am, they wouldn’t know how important jumps’ riders are to our stables, and just how many track work riders are still involved in racing because of jumps’ racing. Five months is a long time to have no television programme at all reviewing thoroughbred racing. Trackside you can do better than that. Trackside is supposed to be the window of our industry – it is supposed to showcase who we are, what we do – horse and human! How do we profile people – especially young people – and their achievements during this time? Remember winter is a time when apprentices come in to their own! This to me is most disappointing, and again shows that changes in our industry need to take place, and rather quickly. I have held back from criticising administrators, but I am fed up – we must continue to promote change!